The use of vocal harmonics as a sacred and transformation tool all but vanished here in the West. In some of the Mystery Schools that survived, there has been continued knowledge of the power of vowel sounds. These vowel sounds have been understood to convey great energy and some realize that many of your Divine Names may be encoded as vowel sounds. We will add one more key to this puzzle. Inherent in each of the vowel sounds are particular harmonics. So that if an individual were able to properly intone the vowel sound name of a deity so that the specific harmonic resonated, what you would have would be a melody. 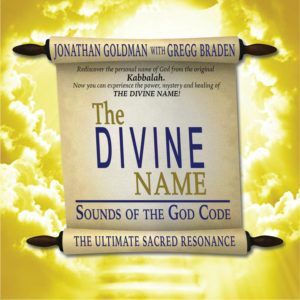 In other words, when correctly intoned, these Divine Names as vowels would actually be sonic formulas that would resonate to the frequency of a particular deity. All of this, has, for the most part, been forgotten in the Western traditions. The use of vocal harmonics maintained itself in secret in certain Tibetan Monasteries, where the Tantric Colleges would stress specific harmonics in their chanting that was resonant with the particular deity they were working with. In Mongolia and Tuva, overtone singing is known as “Hoomi” and became a powerful technique where the singers could easily create two or more notes at the same time. The Tuvans and Mongolians were able to sing specific melodies with harmonics in this manner. However, the sacred and shamanic knowledge of the uses of overtones became lost to these people (it was perhaps wiped from their memory during the time of Genghis Khan). “Hoomi” became a folk art rather than a sacred art. The esoteric uses of vocal harmonics disappeared and only the exoteric, or external folk music remained. The Tibetans on the other hand seemed to be quite aware of the power of their sound as a sacred tool for manifesting energy. When the Chinese invaded Tibet, (an abominable massacre of high consciousness), those Tibetan Buddhists who managed to escape began to make public some of the more arcane and hidden of their practices such as their “Deep Voice” chanting. The Tibetans, incidentally, work with vocal harmonics in a very unusual way. As we have said, there is an inter-relationship between the vowel sounds and harmonics. 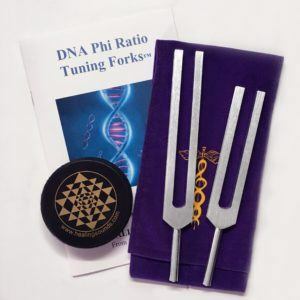 One can simply begin to chant the vowel sounds in a specific way (this is related in detail in my book HEALING SOUNDS) and certain harmonics will evolve. The Tibetan voice is very different. It is an extremely deep, guttural sound that is as low as is humanly possibly. For those of you who know the Australian Aboriginal Didjeridu, the Tibetan Deep Voice sounds much like that. Now, this sound of the Tibetans creates a chord–that very deep undertone, plus very distinct harmonics, so that it often sounds like a children’s choir singing along with these impossibly deep bass voices. This chord created by Tibetan chanting is monumental. It invokes dieties. And it can create Merkabhas. As a friend of ours, Sean (as channeled through Kaimora) remarked, “It is a voice that can summon the ships.” The Tibetan Deep Voice can create inter-dimensional fields through which beings can travel. The Tibetan sound is a very “off world” sound, from an ancient celestial source. It was given to a high Tibetan lama many centuries ago in dreamtime. Along with its extraterrestial and multi-dimensional focus, the Tibetan Deep Voice is also an aspect of the creational tone–the embodiment of the low frequency sounds that manifested the physical plane. The Didjeridu creates a similar sound. So do certain whale sounds. It is one of the most powerful tones for resonating with the energies of Gaia. Thank you. Your perceptions are so satisfying. The deepest sound would be one whose wavelength is the diameter of the universe. Obviously we could never hear it. But the Tibetans invoke it as much as is humanly possible. The peace emanating from their vocalizations is profound. Good article. 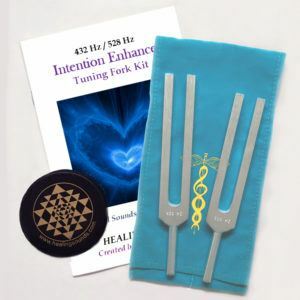 I’m a big fan of Sound Healing and believe that in the coming years it will emerge and develop in the West as a profound and powerful healing tool.